Occasionally I post about some of my favorite things, and nine times out of ten they are design related. However, today I am going to tell you about one of my favorite cookbooks. After spending much of my time in the kitchen over the past few days, with a big Thanksgiving feast to prepare plus many meals for a house full of family members, this book was a constant presence on my kitchen counter. It is simply the best cookbook I own, bar none. It is the first cookbook I turn to when I want to try a new recipe, or learn the best technique for preparing just about anything. Everything I cook from this cookbook simply works - and comes together as described. Written by the experts at Cooks Illustrated, the New Best Recipe cookbook is the result of thousands of hours of work in the Cooks Illustrated test kitchen. Not only does this cookbook have wonderful recipes, for many of the fundamental topics it explains what makes a recipe work. Case in point: roasting a turkey. I have only been in charge of the turkey a few times in my life, and this year it was all me. So, I pulled out my New Best Recipe to read about how to pick a turkey, how to brine a turkey, how to stuff and truss and roast a turkey. New Best Recipes also had an excellent section on mashed potato recipes, with the best techniques for creating the perfect mashed potatoes. Experienced cooks will probably find that their cooking improves, and enjoy reading about what actually makes a recipe work, and how certain techniques and ingredients can make all the difference. Beginner cooks will learn how to make recipes work with the clear step by step directions in each recipe. Click here to purchase this book on Amazon. This cookbook rates 5 stars with over 300 ratings - read some of the reviews - they are excellent. This cookbook would make a fantastic holiday gift for any cook, experienced or novice. I can't recommend it highly enough! While gathering information for this post, I noticed that there are several books by Cooks Illustrated that are companions to my favorite cookbook. I am going to order them and see what I think! I have gathered together some of my favorite cookbooks in my Amazon store. These are truly my favorites, the cookbooks I go to again and again for inspiration and ideas. Click here to see the full list. Many of these were Christmas gifts through the years; new cookbooks are one of my favorite presents. Please let me know in the comments if you have any cookbooks that you recommend - I am always looking for new cookbooks! 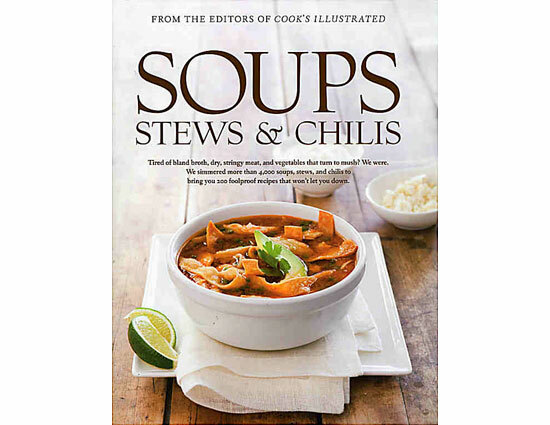 I just bought that soups cookbook and will be trying it out today for chicken noodle soup, sick neighbor. I could use that 30-minute recipe book as I'm sure everyone could. Two "old friends" in our kitchen are Joy of Cooking by Irma Rombauer and Marion Becker and The Romagnolis' Table by Margaret and Franco Romagnoli. They're both out of print. Probably have to look for them on Amazon. Thanks for the tip about this book. I love to cook and am always looking for good cookbooks. 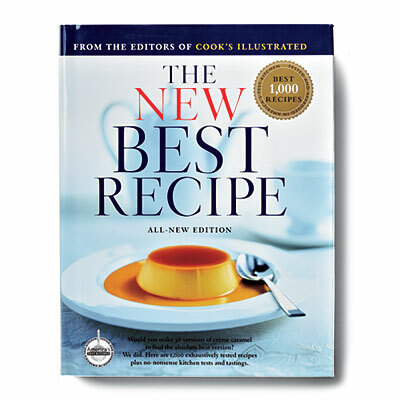 I have this cookbook (New Best Recipes), and it is THE BEST. Sometimes the other cooks illustrated are just rehashing of recipes but in a more organized and specific format. Still, very good cookbooks overall. I have seen this book around but never looked at - I love reading cookbooks even if I don't always actually cook from them! Perhaps also a good gift for my son who had his own apartment at law school!! Thank you!! My husband is the cook and will love this post!! I LOVE anything Cook's Ilustrated puts together! I have even picked up some of their special magazine issues that have been equally fantastic. 30 Minute Suppers is a face as well. I'm excited to pull out the holiday cookie issue I bought last year - endless possibilities! Good info. I love cookbooks that have tried and true recipes. If I go to the trouble to try a new recipe, I want it to be worth the trouble! Thanks! Great cookbooks and 2 dishwashers (villa TTI) mmmm... next year we're coming to your house. I love all of the junior league cookbooks - not low fat, but tasty recipes. I see you have some of them listed in your Amazon store. The Colorado ones are awesome (I live in Denver). Going on my Christmas wish list!!! David and I both love to cook and I have subscribed to Cook's magazine a few times, but never bought a cookbook - I will definitely make this my next cookbook! Thanks for the reference. How is the house??? Hey Holly...hope you had a great first Thanksgiving in the new house, must have been wonderful! I am not familiar with this book but being a lover of cookbooks am going to go right to Amazon and order it, it sounds wonderful and very comprehensive, an all in one, which is a big plus. Thanks for the recommendation. I do need these books. When I am called to cook, I usually revert to the old fashion New York Times cookbook or go on line. Cooking is a grand affair as i am put to the test at least once a year. Mercifully my husband is a fabulous cook and my sons have had to learn to feed themselves at quite a young age. Their future wives will one day thank me. Thanks for the recommendation. I am always looking for something new to cook! PS. Thank you so much for stopping by, I always appreciate it! I have the America's Test Kitchen (same people) Family Cookbook and Anerica's Test Kitchen Healthy Family Cookbook. Both great for the same reason you mention. Always my first stop. 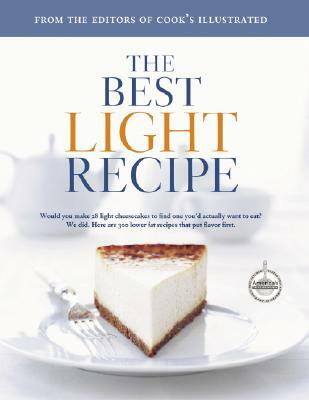 The Best Light recipe is good but I've only tried a few recipes so far. The Simple Recipe cookbook and the slow cooker version are good too. As you can tell I love their cookbooks. I could read them like a book. 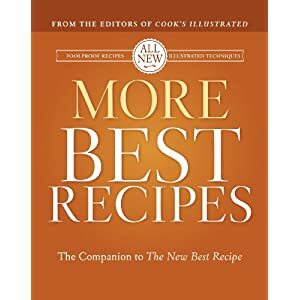 I have a couple of these books and agree...it's my go to to determine the best methods and ingredients for a recipe. Well done girl for handling that turkey all by yourself! Because I like to cook healthy and low fat/light fare...I go to Tosca Reno's 'Eat Clean Diet' cookbook. I have a Seattle Jr. league cookbook that is one of my faves as well! Ditto! I too am a huge fan of their cookbooks...it's pretty much my "go to" when ever I need a recipe. Great post. I am going to order some these books from your Amazon store right now. They will make perfect Christmas gifts.